The Swiss Pavillion Expo 2017 Astana is committed to the SDGs. From 13 to 27 July, it develops several activities in order to raise awareness about the challenges of building a better future for the next generations. 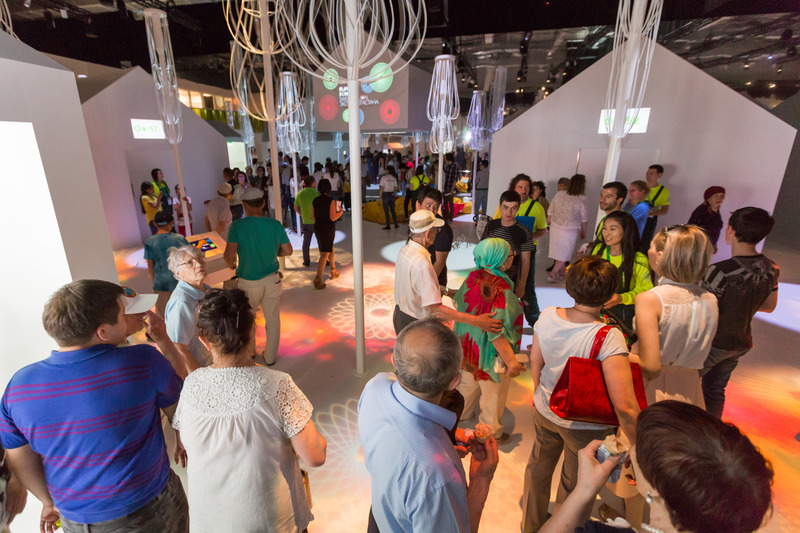 The Swiss pavilion, organized by Presence Switzerland, showcases the Confederation as an innovative country with an interactive and surprising exhibition on the issues of energy efficiency, renewable energies and global water management. 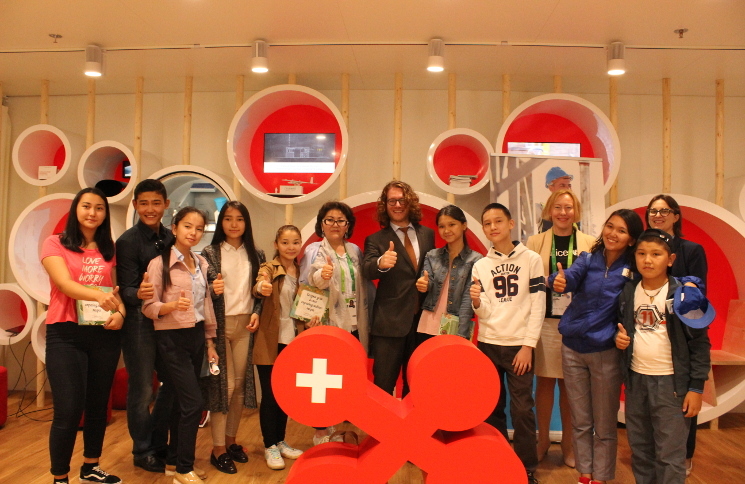 As part of the Swiss Pavillion, the Swissnex Lab is dedicated to thematic immersion and networking, in order to facilitate bilateral cooperation and academic exchange between Switzerland and Kazakhstan. One of the activities, Perception Change Project, includes a temporary installation with a wheel of fortune that introduces sustainable development, a Human Library involving innovators and presenting a talk on Education and Innovation with experts and changemakers. Horyou Team attended an event on Education & Innovation on July 18, 2017, and had the opportunity to hear unique stories from speakers invited by the Perception Change Project in cooperation with partner organizations, notably the International Organization for Standardization (ISO) and the Kazakhstan Institute of Standardization and Certification, the UNICEF Kazakhstan and its Liaison Office in Geneva, the University of Geneva, the Sustainable Development Solutions Network (SDSN), and the United Nations Office for Project Services (UNOPS). 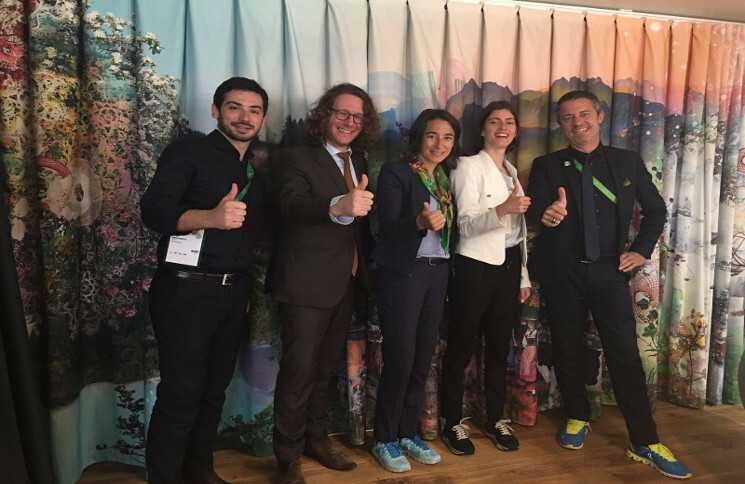 «Horyou Team was excited to see the commitment of the Swiss Pavilion to promoting the sustainable development goals in Astana. We share the same resolve to shape better times to come, and SIGEF 2017 in Kazakhstan will be our initiative during EXPO2017 to support that momentum of awareness and implementation», said Yonathan Parienti, founder and CEO of Horyou. The event was followed by a project called “Human Books”, whereby people shared their stories with the public, creating empathy by touching on topics such as climate change and education in emergency situations and refugee camps. One of the touching stories was Isaac Mustopulo’s, a 15-year old student from Kazakhstan who was diagnosed with cerebral palsy and, despite all odds, has finished 8th grade at a local school in Taraz where he excels academically and is actively involved in extracurricular activities. He is an advocate for inclusion and is working on a project that would introduce tutors to public schools for students with disabilities. “Sustainable Development Goals are not only the UN’s or governments’ business, we all have a role to play in achieving them. The topics related to the SDGs and the work of organisations in Geneva and elsewhere can be illustrated in a playful manner and through storytelling. We are delighted to be a part of Expo 2017 Astana”, said the Head of Project, Aziyadé Poltier-Mutal. Finally, the Education & Innovation Talk session opened a dialogue between several thought leaders. Ms Tatiana Aderikhina from the Education and Child Protection at UNICEF shared how an equity–focused and inclusive approach starting from early childhood education can have positive impact toward social inclusion and reduce the numbers of unschooled children. Mr Zhasulan Kenzhegalyiev, a specialist from the International Cooperation Department of the Unified Government Fund of Normative outlined how Astana is leading the way in SmartCities and how this can benefit both the population and the overall sustainability efficiency. Prof Barbara Moser-Mercer, from the University of Geneva, a specialist in higher education in emergency and crises situations, expressed how connected learning builds the knowledge and skills needed to adapt, and how that could prove to be a key factor in the development of higher education for people victims of conflict situations within refugees camps. Ms Ekaterina Perfilyeva, editor in chief of the Open School of Sustainable Development, shared how through volunteering to support facilitation of translation and sharing of knowledge and meaningful information we could advocate a better understanding and implementation of sustainability principles with the Youth. The overall discussion from the panelists with the audience, outlined the fact that there are numerous synergies and initiatives that could support the achievement of SDG 4, related to Education.